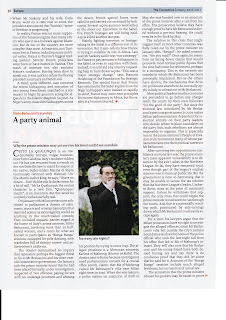 Poor Silvio, once again he’s been pummelled to death by “The Economist”! This time in the January, 22nd, 2011 edition. 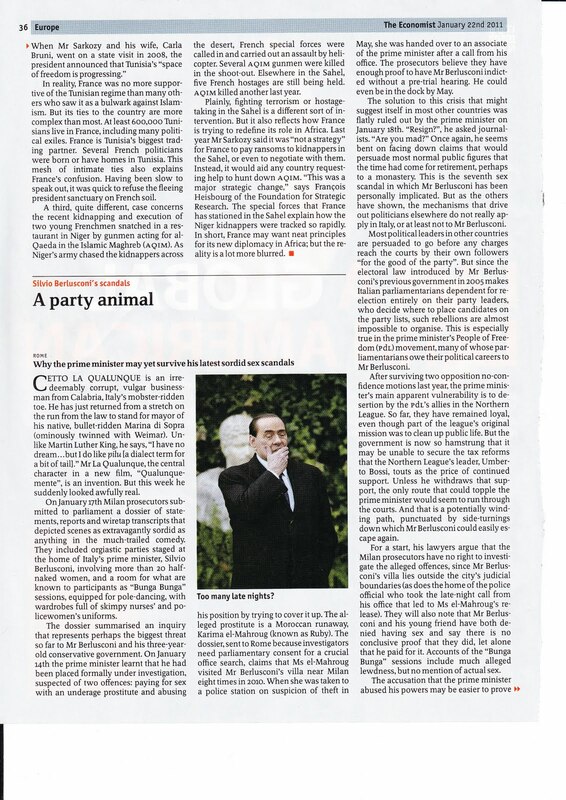 There's almost something in every issue on Silvio’s sexual escapades. Quite the picture that also goes with the article on how in 2 years’ time little has been accomplished under his “reign”. Has anyone thought that perhaps all that Viagra has finally gone to the poor man’s head? Indeed a nice way to govern a country, eh?